Student activists have seen their anti-climate change graffiti washed away merely hours after it was put down. 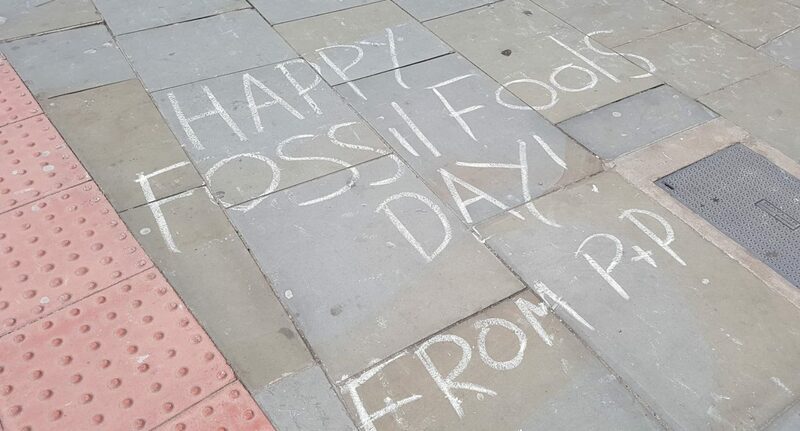 People and Planet used chalk to cover the Oxford Road pavement with messages urging the University of Manchester to divest from fossil fuels, claiming the institution has £10 million in companies that produce such resources. The graffiti, which People and Planet say is for ‘Fossil Fools Day’, also claimed the University was ‘funding human extinction’. They say the University cleaned the graffiti because of one use of a swear word. Similar student activism has seen Oxford Road blocked in protest of the lack of University action on divestment. At another protest, Students’ Union Activities Officer, who is a member of both People and Planet and Extinction Rebellion was arrested for “wilfully obstructing the highway”. On the chalk protest, Haughton said: “We wanted to raise awareness of the University’s complicity in ecocide, and call them out on their lack of commitment to divestment, especially when they boast about their Social Responsibility policy. “We’ve done similar protests before and it’s not been washed off this quickly. When we were speaking to security guards this morning, they didn’t mention anything about us not being able to do it.